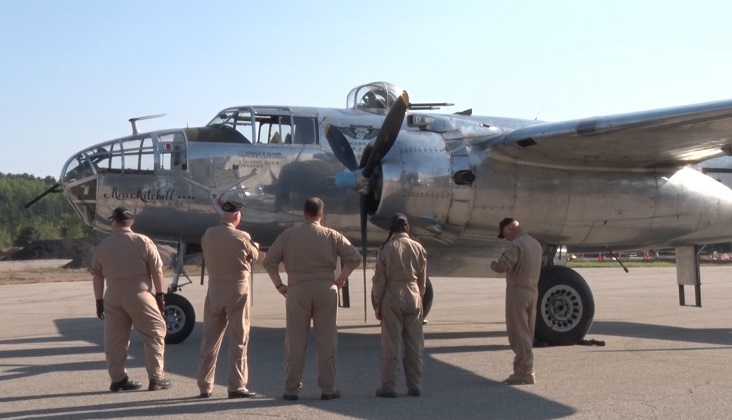 KINGSFORD — The B–25J Miss Mitchell World War II vintage aircraft was the highlight of day one for the Ford Airport Days. The Experimental Aircraft Association chapter 439 and Ford Airport is hosting this event for our Veterans. 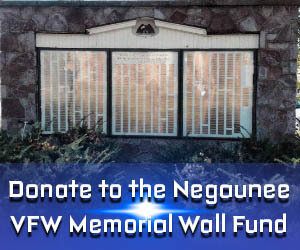 The aircraft was donated to The Commemorative Air Force Minnesota Wing back in the 1980’s. Their organization is all about keeping aircrafts of our past flying today and this is just a prime example of what a dedicated group of volunteers can accomplish. “A lot of it is about honoring the past and remembering our history. World War II was a pretty dark time in our world. I think it’s important that we keep this stuff going and we’re able to tell this story, from multiple different viewpoints. From the view point of the veteran, from the viewpoint into modern day and how this type of aviation compares to modern jet fighters,” said Hans Meyer, Pilot. The B–25 placed itself in the World War II history books back in 1942. It took 12 years of restoration and took its first flight in 1992. “This is a medium bomber in world war 2, maximum take off weights right around 35,000 pounds. The B–25 saw service in every single theater in world war 2. It’s a crew of 6 airman on board. Our aircraft is painted up as the actual miss mitchel which saw service in the European theater,” said Meyer. When veterans see the aircraft it takes them 80 years back. “It’s like boom, time machine. It’s like they’re back in 1944. We’ve seen them jump out of the wheel chair and just crawl right up that ladder and its just like wow,” Meyer added. The 16th Annual Ford Airport day will be happening Saturday, September 15th. Honor Flight Mission VI heads to Washington D.C.